When war broke out in Korea in the summer of 1950, as a result of the severe post- World War II drawdown of forces (for instance the Army had gone from 8,268,000 troops at the end of the war to 660,000 in 1949), all the military services found themselves scrambling to rapidly fulfill their new manpower needs. This accelerated the branches’ existing efforts to integrate African Americans and other minorities and increase the number of women in uniform under the guidelines set forth in the Women’s Armed Services Integration Act of 1948 and Executive Order 9981. Like the Korean War itself, at the conflict’s conclusion the results were a dissatisfying mixture of success and failure, and revealed that the services had a long way to go to achieve the statements expressed in the legislation and executive order. Like the Korean War itself, at the conflict’s conclusion the results were a dissatisfying mixture of success and failure, and revealed that the services had a long way to go to achieve the statements expressed in the legislation and executive order. When the war began, there were only 22,000 total women on active duty in the military, with about a third of them in the health professions. Efforts to increase that number during the war to 112,000 failed miserably, reaching a peak of only 48,700 by late 1952. 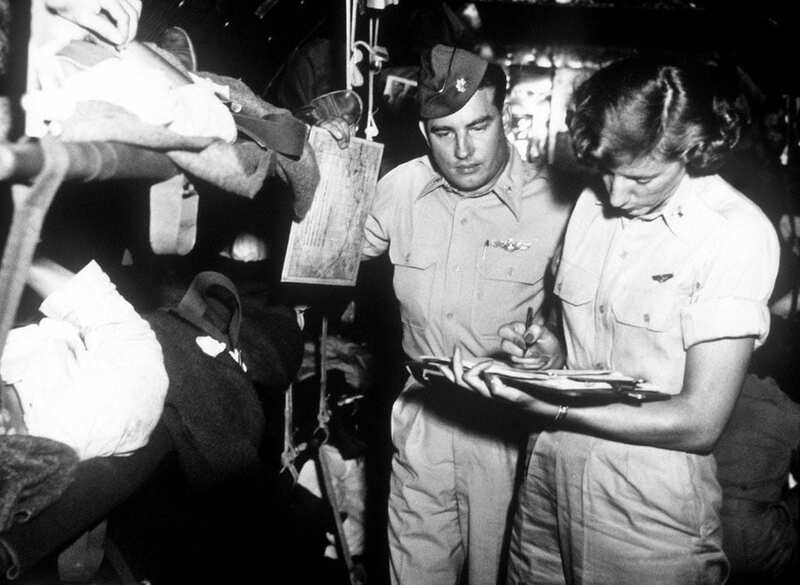 Five reasons were cited for the failure: a mistaken belief by the Department of Defense that the Korean War would inspire women to patriotically enlist as they did in World War II; public disapproval that rekindled accusations of immorality and suspicions of the sexual orientation of women in uniform; bad timing – the recruiting campaign didn’t kick off until late 1951, when the war had become unpopular; poverty-level pay scales and substandard housing; and a perpetuation of the World War II holdover double standard that insisted women had to be better than their masculine counterparts. As the demand for nurses in the combat zone increased, the Army found itself in a “rob Peter to pay Paul” situation, having to deplete nursing staffs in bases worldwide to satisfy the needs in Korea. When the war began, there were only 22,000 total women on active duty in the military, with about a third of them in the health professions. Nurses were among the first troops in Korea, and they would be the only military women allowed on the peninsula. 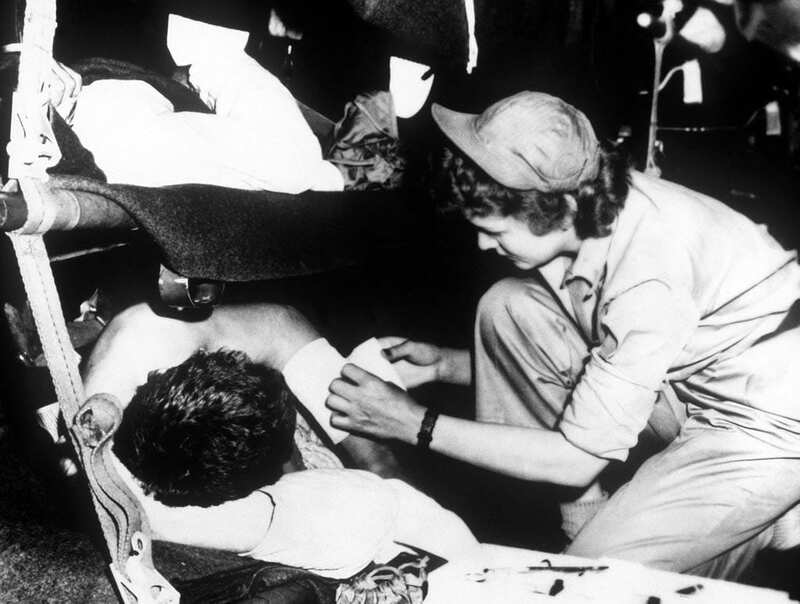 A group of 57 Army nurses established a military hospital in Pusan four days after U.S. Army troops arrived. Two days later another dozen nurses set up the 8055th MASH (Mobile Army Surgical Hospital) at Taejon near the war zone’s perimeter. Within a month, more than 100 nurses were on duty in the Pusan Perimeter. Though exact numbers are unavailable, it’s been estimated that ultimately as many as 1,500 Army nurses served tours of duty in the peninsula. With MASH units located within artillery range of a fluid front, combat nurses – some veterans of World War II – worked under appalling conditions, particularly in the winter, and in primitive situations that taxed their skills and ingenuity. Out of necessity they assumed responsibilities regarding the treatment and care of patients that were far greater than normal. These included – and certainly weren’t limited to – conducting independent triage, starting blood transfusions, administering antibiotics, and suturing wounds. “I learned different things about myself, where some of my weaknesses were, where some of my strengths were. … I grew from that experience, both as a nurse and as a person.” She retired with the rank of colonel after 26 years in the Army Nurse Corps. The nurses of the 11th Evacuation Hospital in Pusan pioneered renal dialysis and were among the first nurses to treat patients suffering from hemorrhagic fever with the first generation of artificial kidney machines. 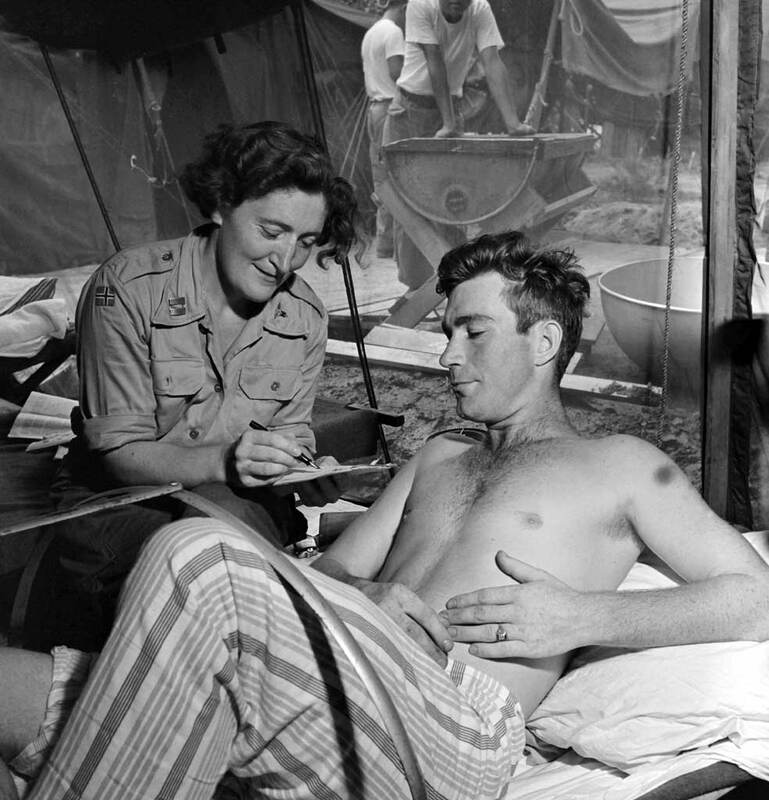 Army nurses oversaw logistics and became masters of improvisation when supplies ran out. Whenever possible they also cared for civilians caught in the crossfire of combat, treating their wounds, delousing them, and instructing them in hygiene basics. The Army nurses’ contribution did not go unrecognized. Nine Legions of Merit, 120 Bronze Stars, and 173 Commendation Ribbons were awarded to the nurses in Korea.